In the first few years since being introduced to the mainstream fitness community the popularity of the TRX has skyrocketed. Designed by a US Navy seal to workout in even the most inhospitable conditions, the TRX suspension trainer is now used all over the world. Even if someone has never used the TRX before it is a great stocking stuffer because classes are widely available. Since it is highly portable and can be used almost everywhere, there can be no more excuses for not working out at home or on the road.. 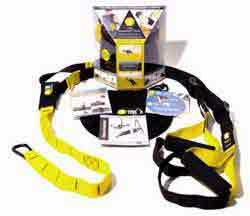 This makes the TRX Suspension Trainer one of the top 5 fitness stocking stuffers. A great Christmas gift for serious outdoor fitness enthusiasts is a heart rate monitor and/or GPS equipped wrist watch. If you have the cash to spend and you know any fitness geeks or gym rats a Garmin ForeRunner GPS or polar Heart rate monitor is the perfect gift. 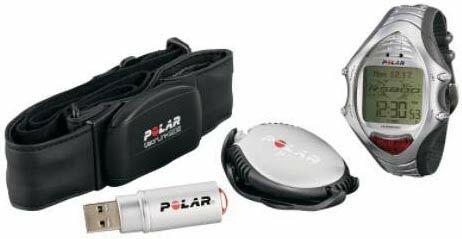 Polar heart rate monitors have been around for a while and are the gold standard. Although the high end Polar fitness watches have the ability to judge distance traveled, spending more can get a Garmin GPS enabled wrist watch. These fitness gadgets enable the user to not only monitor the heart rate but track the exact distance of each running or bicycling workout. This makes a heart rate monitor one of the top 5 fitness stocking stuffers. The new iPod nano is a great stocking stuffer for anyone but fantastic for those who exercise regularly. The lightweight, small design is superior to old iPod nano models as it can be clipped to the collar of a shirt allowing the headphone cord to not interfere with any physical activty. The 6th generation iPod nano come in many colors including pink, orange, black, silver, blue, green and graphite and have either 8gb or 16gb of memory. In addition to the new design the iPod nano (6th generation) intelligently manages battery life and playback time. This makes the iPod Nano one of the top 5 fitness stocking stuffers for the holiday season. 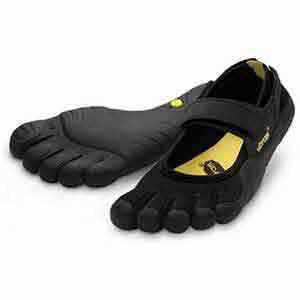 According the Vibram FiveFingers are meant to replicate being barefoot and allow for the natural biomechanics of the foot to work. FiveFingers are basically thin soled shoes with a place for each individual toe. Although designed primarily for runners and climbers, the FiveFingers are a great stocking stuffer for anyone who has feet and toes. Whether the FiveFingers are used for exercise or just lounging around the house, those who have yet to experience “the barefoot alternative” may instantly fall in love. This makes the Vibram FiveFingers one of the top 5 fitness stocking stuffers. A gym may be intimidating for some people at first but that is just what many people need to start a fit and healthy lifestyle. Gyms usually have specials during the Holiday seasons and these usually make great Christmas presents. 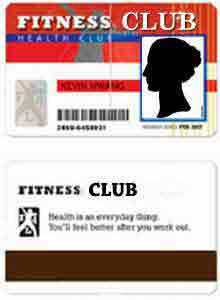 Prepaid memberships usually cost far less than monthly memberships and many come with personal fitness training. Just like any gift which is aimed to promote physical activity a gym membership can also go to waste. Personal training is another option especially for someone who already has a gym membership. Personal training sessions are a great gift for anyone including those with no exercise experience, regular exercisers and even personal trainers themselves. A Christmas gift of personal training sessions can kick start New Years resolutions for people who hate exercise or take regular exerciser’s workout programs to another level. A gym membership ranks high among the top 5 fitness stocking stuffers for this holiday season.